The #8 represents “new beginnings. It’s not too l8 to change your f8. 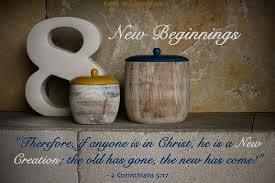 This entry was posted in 2 Corinthians 5:17, a new creature, all things have become new, Bible, Bible numerology, Bible quotes, if any man is in Christ, in Christ, New Testament, New Testament quote, old things have passed away and tagged 8, Christianity, math, meanings of numbers, numbers, numerology, spirituality. Bookmark the permalink.